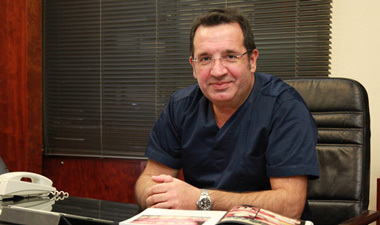 Ioannis Papadopoulos is the visionary, designer and founder of the idea for the creation of this modern dental center. He graduated from dental school in 1984 and since 1986 he has run his own clinic in Athens, where he works focusing on prosthetics, dental implants and aesthetic restorations. In 2005 he received official certification from the Greek-German implantology company (DGI & APW) in the field of surgical and prosthetic restoration of implants. He is also a regular member of the Hellenic Aesthetic Dentistry and Corporate member of the European Association for Osseointegration, with continuous practical education at Erlangen University in Germany. Contact us in order to discuss your dental issues, whether it concerns functionality or any other oral aesthetics. Copyright © 2019 Oral Aesthetics • All Rights Reserved.